It will have a jacket cover with the title and Gravity Falls logo on it, as shown at the top of this post. The jacket will also double as a poster. 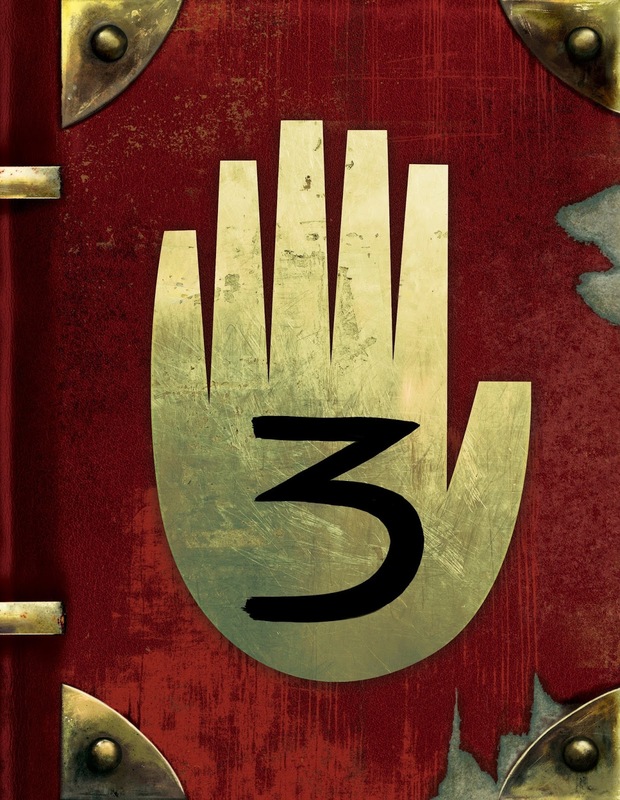 Underneath the jacket the cover of Journal 3 as seen from the show will be there. It will first be released in hardcover with 288 pages. 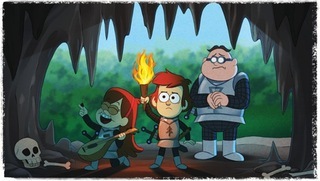 It is written by Alex Hirsch himself (the creator of the show) and Rob Renzetti (he also works on the show). It is illustrated by Andy Gonsalves and Stephanie Ramirez. It will feature all the pages ever seen in the show from all three journals, as well as some all-new never before seen ones. All the scribbles on the pages from the show will be translated into actual writing! We will find out the answers to previously unanswered Gravity Falls mysteries, such as Dipper's real name and what Ford did in the portal. Plus much more! It will also have notes from Dipper and Mabel, and the Author's full story. 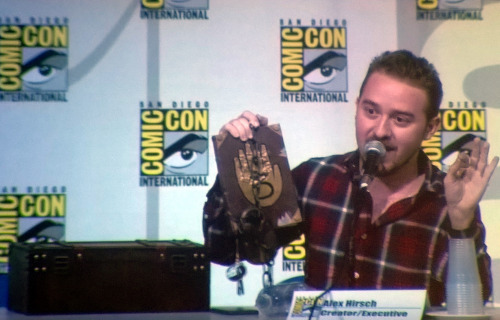 Alex Hirsch first made an official announcement of this happening about a year ago at San Diego Comic-Con. 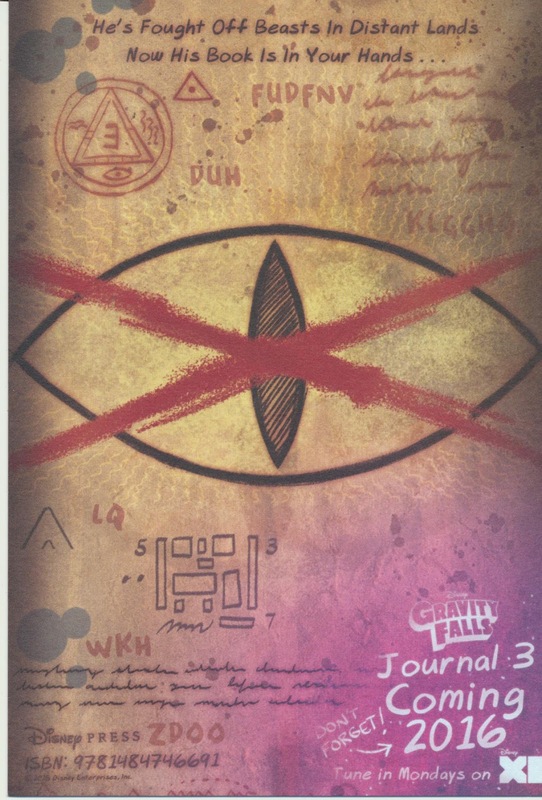 When asked if the journal would have a way for readers to see the secret invisible ink messages on the pages just like in the show, Alex responded that he was trying to get the publishers to do that. I guess we will have to wait and see! It is very unlikely that it will come with an invisible ink flashlight since it was not mentioned in the Amazon pre-order description. However, t is more likely that the invisible ink messages will actually be written on the page, in purple ink or something like that. However, I didn't see it on the Amazon sneak peak pages, so I kind of slightly doubt it. But sneak peaks usually change somehow by the final release. In all of the Journal 3 page promotional cards given out at SDCC 2015, there was a purple message made to looks like it was invisible ink saying when that Journal 3 would be released in 2016. This is a small piece of evidence to support that there may also be invisible ink messages in the book. But we will have to wait to find out! 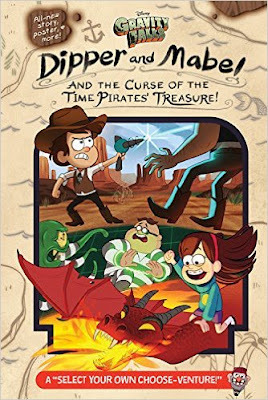 Blendin Blandin is searching for the legendary Time Pirates' Treasure, and he needs Dipper and Mabel's help . . . and yours, too! Journey through time and explore the dragon-infested medieval era, the Weird-and-Wild West, and the laser-and-giant-baby-filled future. YOU choose from multiple paths that lead to different wacky adventures! You might end up finding the greatest treasure ever known, or you could send the twins and Blendin into an abyss from which they will never escape! This all-new Select Your Own Choose-Venture time-travel treasure hunt book features thrilling adventures, original artwork, and an exclusive double-sided poster! 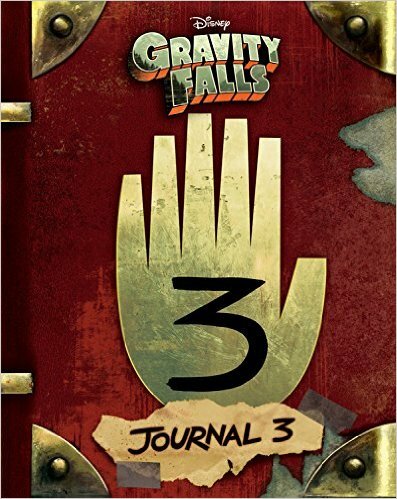 The book's author, Jeffrey Rowe, wrote episodes ofGravity Falls; Alex Hirsch, the creator of the show, provided additional story for the book; and the book's illustrator, Emmy Cicierega, was a storyboard artist for the show. Overall, I an very excited to read both of those books! They come out on the third day before I leave for Turkey. I will get them on the first day, and will eventually do a review on both of them once I finish reading them. I will read them in Turkey as entertainment, so don't expect me to finish them in the first two days that I get them. I am leaving for Turkey on July 29, which is 14 days from now. I hope you enjoyed this post! If you are excited about the new Gravity Falls books, share this post on social media with the hashtags #GravityFalls and #Journal3. Stay tuned for tomorrow's post, and a post every day until July 29. See you guys next time! BBYYYYYYEEEEEEEEEE!!!! !